Congenital ptosis is the ptosis which is present since birth. In some babies, it may be evident since birth, while in some it may become evident during the first two years of life. The other name for congenital ptosis is Dysymogenic ptosis. Congenital ptosis may cause the eyelid to either fully or partially block the eyes. The vision of the child in one or both the eyes may be affected. At the time of birth there is a slight asymmetry present in babies. The asymmetry generally gets corrected by itself over time. But if that does not happen then it could be a case of congenital ptosis. This asymmetry can be due to a number of reasons. Although the actual cause of the congenital ptosis is unknown, it is believed that one of the top reasons for congenital ptosis could be the in-utero position of the child. Though there is no evidence for the same but sometimes congenital ptosis could also be genetic. Unlike normal cases of ptosis in adults, small babies do not show the regular symptoms of chin- up or head- up position. Congenital ptosis in babies is present visibly. In many cases of congenital ptosis, astigmatism may also be present. In cases, the eyelids of the child are very droopy and no treatment for congenital ptosis is done, then congenital ptosis may adversely affect the vision of the child causing amblyopia. Generally, congenital ptosis occurs due to insufficient development of the levator muscles which keep the eyelids in a taut position. Congenital ptosis occurs in babies in whom the levator muscle has not developed properly. The reason behind inadequate development of levator muscle leading to congenital ptosis is not known. The top ophthalmic doctors say that in a very few cases, if the both the eyelids of the baby droop down the problem could be neurological or genetic. A very special type of congenital ptosis is known as Marcus Gunn Jaw Wink that happens due to incorrect attachment of neurons. Fortunately, this type of congenital ptosis does not require surgery as it is very mild. In mild cases of congenital ptosis, the top approach for management which is used by the doctors in India is to see if the child outgrows it. Majority cases of congenital ptosis generally correct themselves over a period of time. But if the baby does not seem to have any improvement in congenital ptosis, then surgery for congenital ptosis may need to be done. Before the surgeon decides to carry out surgery for congenital ptosis, he will perform complete diagnosis of the child. In India Complete examination is done and the child is also tested for amblyopia. Congenital ptosis is due to a developmental inadequacy of the levator muscle and is graded according to the severity from mild to severe. In the absence of, or poor levator function, the most common surgical approach is suspension of the frontalis muscle to the upper eyelid. Various methods are used for creating a tarso-frontalis sling. Different materials are used for creating the sling in older children which include Palmaris Longus Tendon, silicon rod and Fascia Lata. Deep fascia or a thick layer of connective tissues from the thigh are used for modeling the tarso- frontalis sling which is known as Fascia Lata. Fascia Lata can either be taken from donor tissues from someone else or can be harvested from the patient’s own body. The former is known as Allogenic Fascia Lata while the latter is known as Autogenous Fascia Lata. Autogenous fascia lata has several advantages out of which the most important is almost zero chances of rejection. Autogenous Fascia Lata is generally not used for very young children. Another option for a permanent solution for congenital ptosis is use of silicon rods. Though the use of synthetic material for fascia poses some minor risks, the biggest advantage of using silicon is elimination of the need of a donor site. Also, silicon rods are very flexible and the height of the eyelids can be adjusted if required even after the surgery. Aponeurotic surgery for congenital ptosis is performed in patients where there is some amount of residual levator function present in the patient. While performing a aponeurotic resection in children, the amount of levator advancement is calculated before the surgery and it is generally more as compared to adults. Except the cases where the congenital ptosis is very mild, generally the levator resection is done by a dissection above the Whitnall’s ligament. If the doctor decides that the child requires surgery for congenital ptosis, then in most cases the child should be around four years of age or older. It is difficult to perform surgery on very young children because the size of their eyes is also smaller. But if because of the congenital ptosis poor development of vision is anticipated then the surgery for congenital ptosis may be done earlier. Before the surgery for congenital ptosis, all the pre surgery measurements are taken. The approach for the surgery of congenital ptosis in India depends upon the degree of ptosis and the level of levator muscle function. The surgery for congenital ptosis is done under general anesthesia. In India, surgery for congenital ptosis is done by ophthalmic surgeons. However, today ophthalmology has a super- specialty which is known as oculoplastic surgery. An oculoplastic surgeon is a surgeon who has the best knowledge about the plastic surgery of the eyes. In India, not many oculoplastic surgeons are available because of the rare nature of this super- specialty surgery. One such top super specialist in India is Dr. Debraj Shome who is established in Mumbai. In addition to his own successful practice, he also provides his surgery consultation to some of the best hospitals in Mumbai. 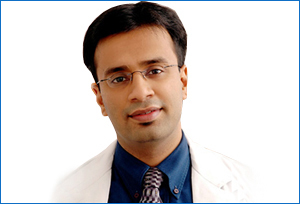 He is one of the best facial plastic and oculoplastic surgeons in India. Congenital ptosis is one the top birth defects with which babies are born in India. Talking about congenital ptosis from Mumbai, Dr. Shome says that in India lack of proper pre- natal care causes many birth defects in babies. Except for the big cities like Mumbai, in many cities of India still the status of pre- natal care is not the best. He has witnessed many cases of congenital ptosis at his hospital in Mumbai, most of which were completely treatable. In India, people tend to take congenital ptosis as merely an aesthetic issue, while it may have severe detrimental effects on the vision of the child. Congenital ptosis is prevalent in not only Mumbai but all over India. Congenital ptosis can be completely corrected by surgery. The surgery should be done at the top hospital equipped with a specialty pediatric surgery department. If you are not from Mumbai and want to get the best surgery for your child then consider Dr. Debraj Shome and his surgery skills in Mumbai. He is a consultant to some of the top hospitals in India and because of his expertise and precision; many children are now leading a very happy life. Children are every parent’s priority and so is their good health. No parent wants their children’s health to be compromised. If you want the best for your child, then do not hesitate in coming to Mumbai. Sure, you may get such surgery in other places in India also, but don’t you want the best for your baby? If the surgery is not performed correctly, then it may cause permanent damage to the vision of your child. The surgery is pretty straightforward but very minute structures in a baby’s eyes make the surgery a complicated task. A child may not even require surgery but you should be ready for surgery in case it is suggested by your doctor. Mumbai can be the answer to the problem of your child’s vision. Dr.Shome is known in Mumbai for handling various surgery cases. His own surgery clinic is considered to be the best in Mumbai and that is all due to his hard work. He wants to ensure that any child who comes to Mumbai is treated with utmost care and best surgery. For this purpose, at his Mumbai clinics special arrangements are available for pediatric ophthalmology. So, if you want the top treatment and best surgery for your child’s congenital ptosis, then come to Dr. Shome in Mumbai, India.